In a large bowl, mix well together the condensed milk, water, egg yolks, Kahlua and coffee extract. Add the caramel into 4oz. ramekins, covering the bottom of the dish, set aside. Once the caramel has cooled add the flan base. Cook in a water bath and bake at 325° for 45 minutes or until the flan is set. Remove from heat and allow the flan come to room temperature, then place in the refrigerator overnight. 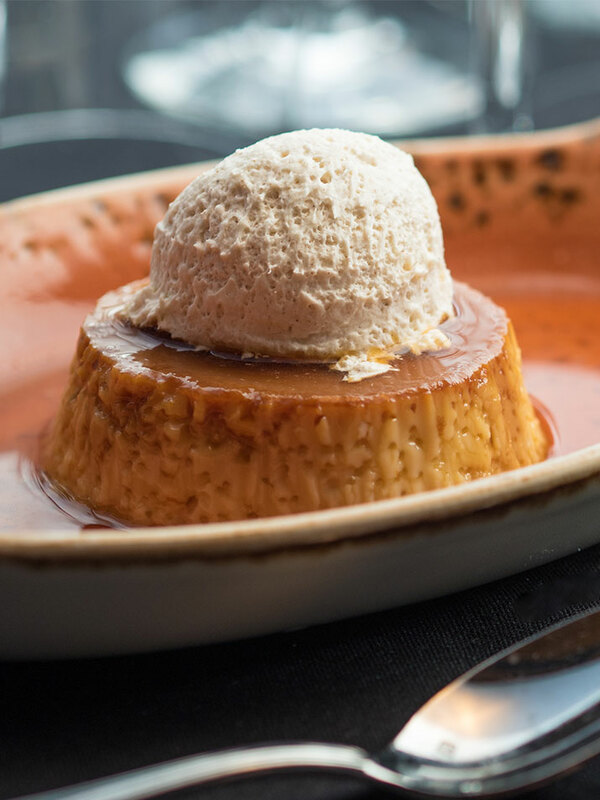 To serve, turn the ramekin upside down on a serving dish, allowing the melted caramel to pour over the top of the flan.